The full fury of the wild places is unleashed! 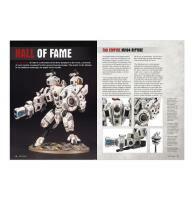 White Dwarf magazine is a new weekly publication that contains detailed information on all the week’s hobby news from new releases to modelling and painting techniques, new rules and much more. An essential publication for every hobbyist, there is something for everyone, every week. The Wyldwoods are unleashed as the Sylvaneth return! We’ve got a first look at all the stunning new miniatures (look at that mighty Alarielle and Wardroth Beetle on the cover!) 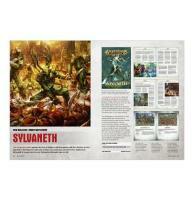 and the new battletome (the first of a great new style), plus warscrolls, Paint Splatter and more. All that and there’s still space for an alien upstart to make their way into Hall of Fame… Grab one now.